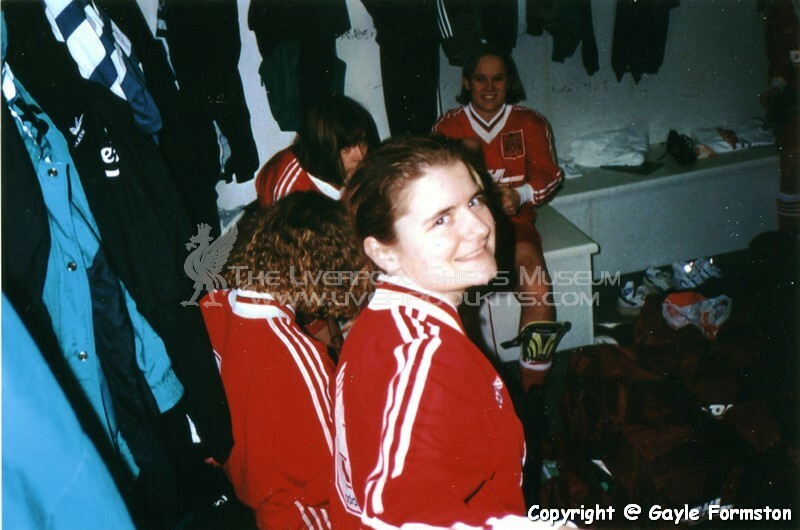 Unlike the gentlemen's team, Liverpool's Ladies team's shirt adopted a different sponsor in the 1990s. 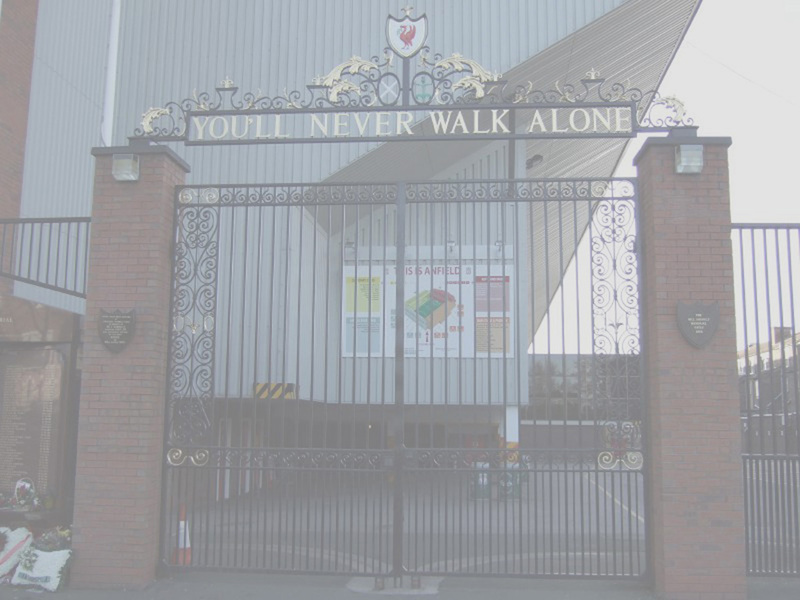 We all know that Carlsberg has been the sponsor of Liverpool since 1992-93 season. However, that's only the case for the gentelmen's team. 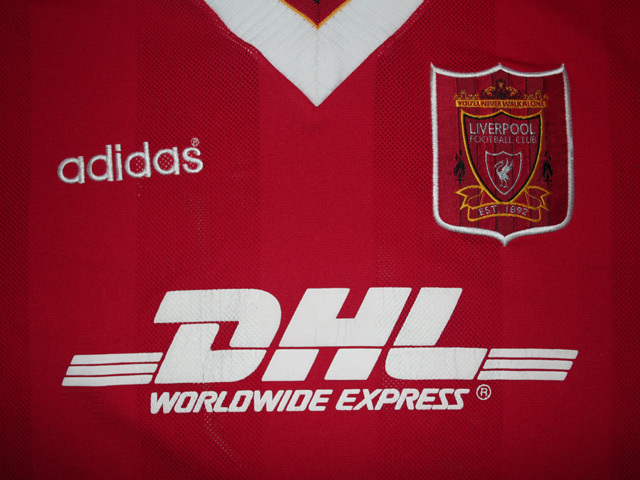 For the Ladies Team of Liverpool FC, the commercial sponsorship was DHL Express instead. 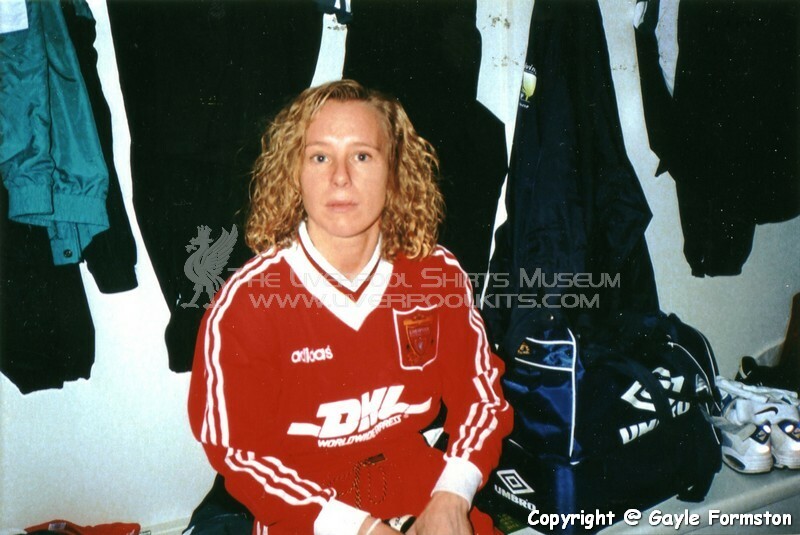 Featured a Liverpool Ladies Team player wearing a DHL Express sponsored home shirt in action. 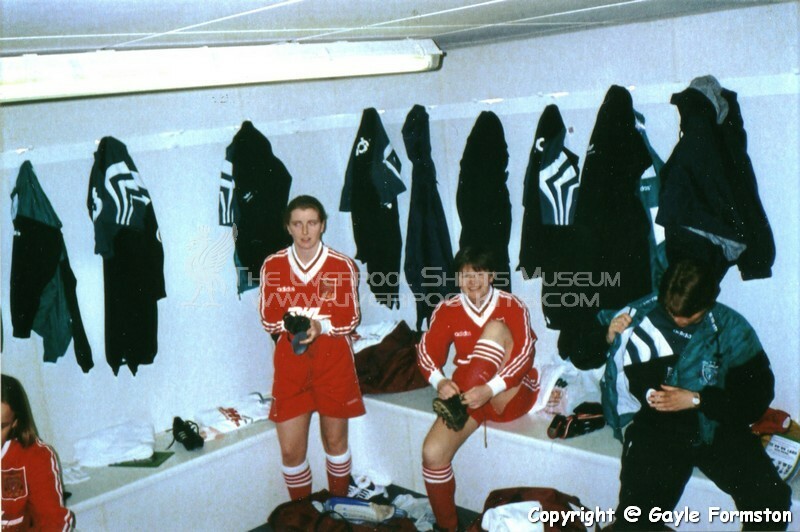 Featured Liverpool Ladies players in the changing room during the league match against Millwall in 1995-1996. 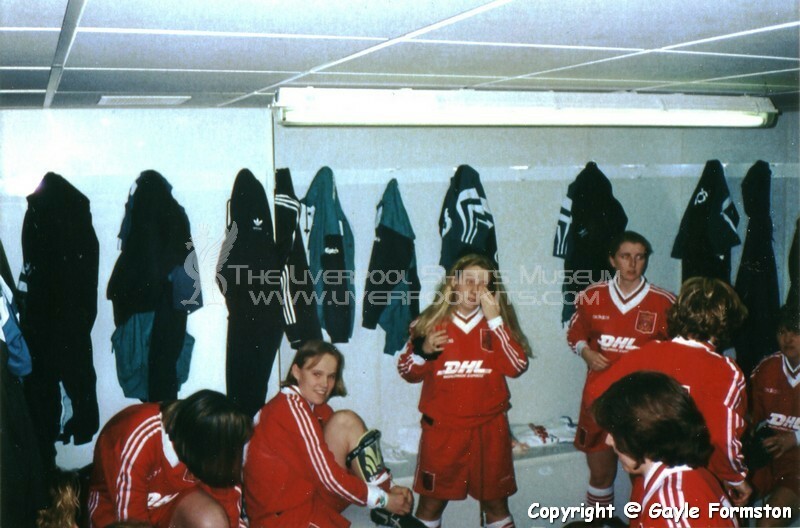 Featured Liverpool Ladies players in the changing room during the FA Women's Cup Final 1996. 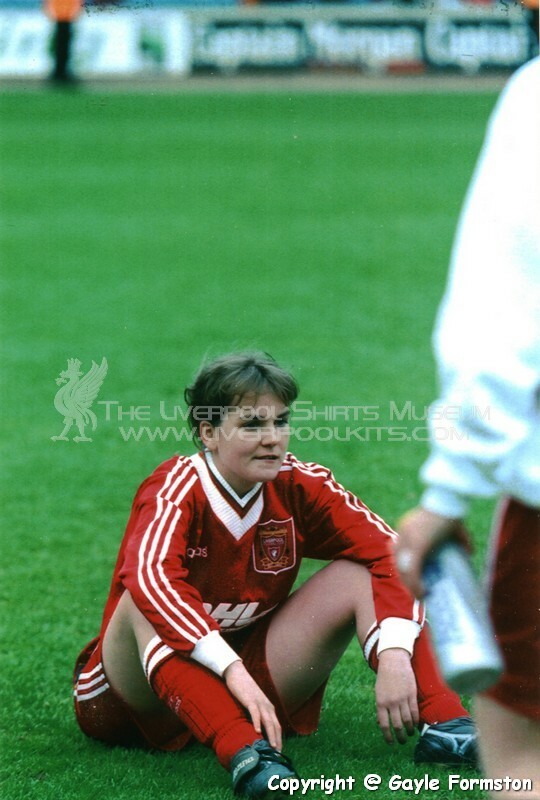 Featured Liverpool Ladies player sitting on the pitch after full time of the FA Women's Cup Final 1996. 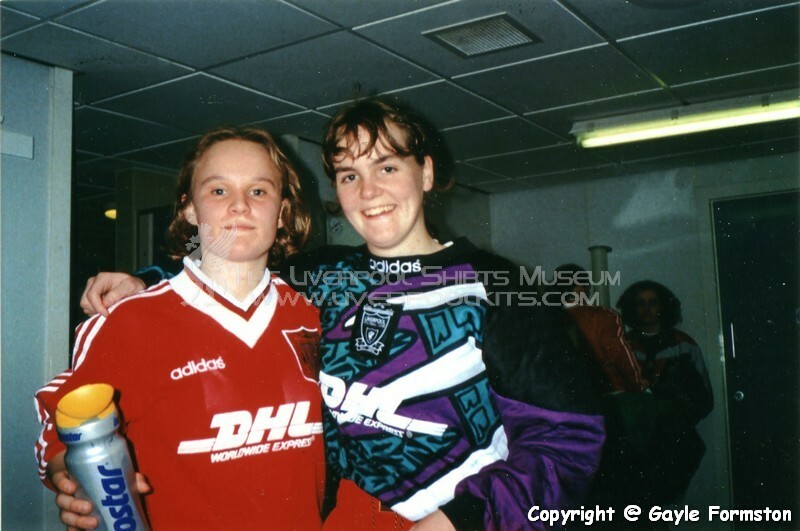 As aforesaid, the sponsor on the Ladies Team shirt was DHL Express instead of Carlsberg. 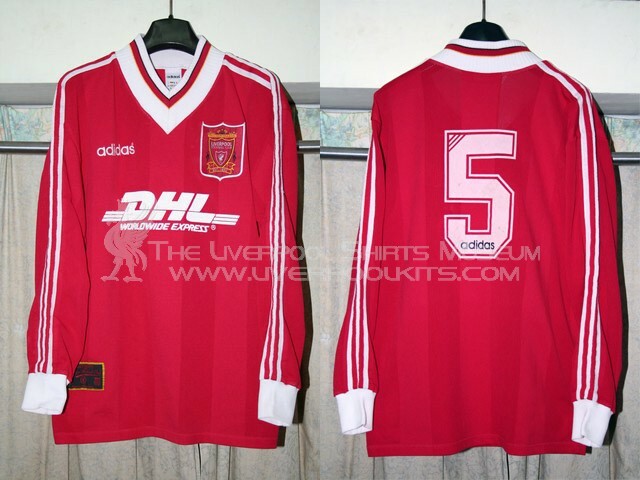 Instead of raise-embossed, the DHL sponsor was made from a thick layer of paint-like spray spreaded on the shirt's surface.